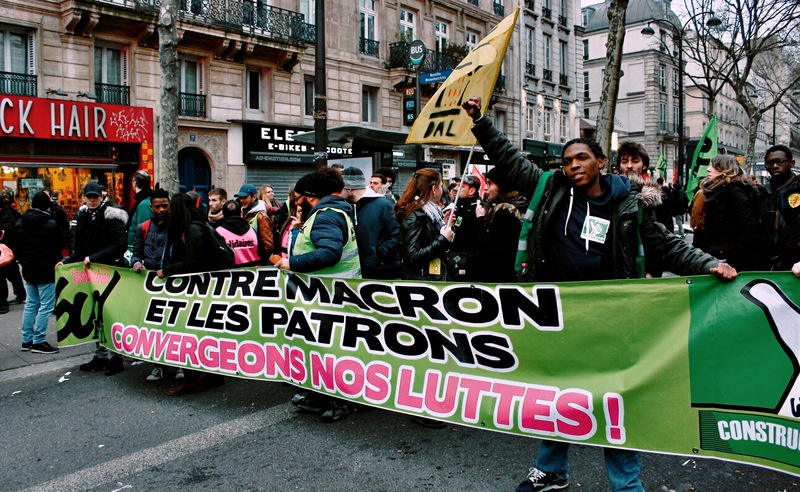 Tens of thousands of people came out to demonstrate in the streets of Paris and other cities in France on March 22, against Macron's labor reforms. Hundreds of trains and flights were canceled on March 22, 2018, as the French railway union called for a protest in Paris and other cities. 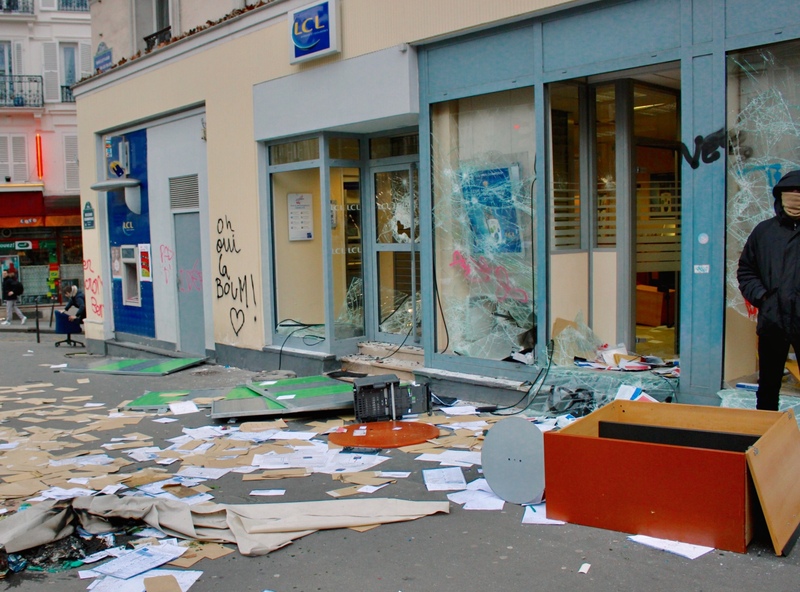 Demonstrators smashed windows, broke into banks, and vandalized walls as they protested against President Emmanuel Macron’s labor reforms. Civil servants want better wages and are protesting against Macron’s plans to shrink civil service workers by 120,000 by 2022. Employees of the state-run SNCF are fighting against the government plans to rid of guarantees of a job and an automatic annual pay rise. Around 200,000 demonstrators joined in protest around the country, and nearly 49,000 of them were in Paris according to police figures. Officials estimated that the strike affected 40 percent of intercity trains and 30 percent of flights. 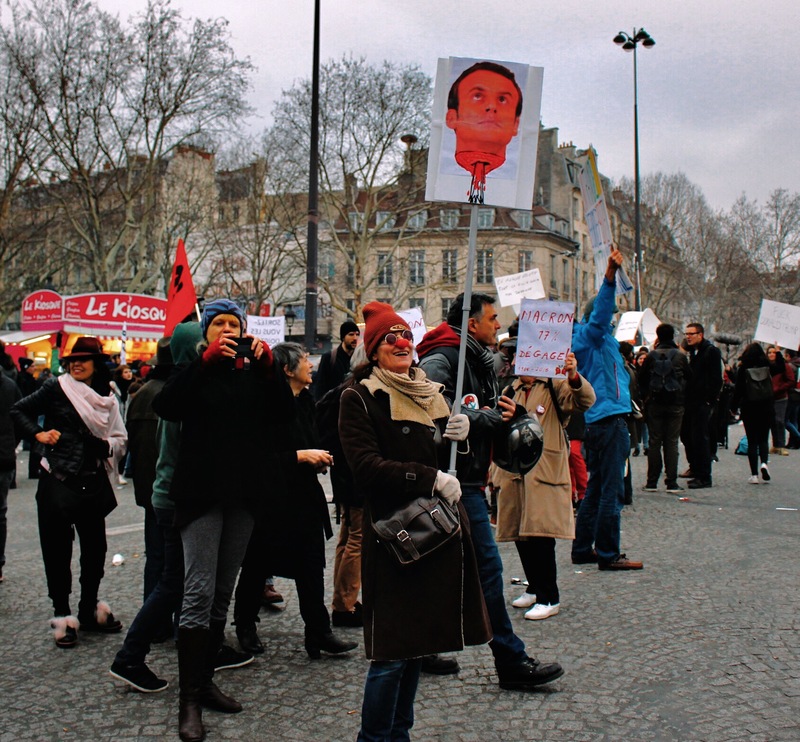 The number of protesters was smaller than the previous demonstrations against Macron's labor reforms, and the anti-reforms demonstrations during the presidency of Francois Hollande. 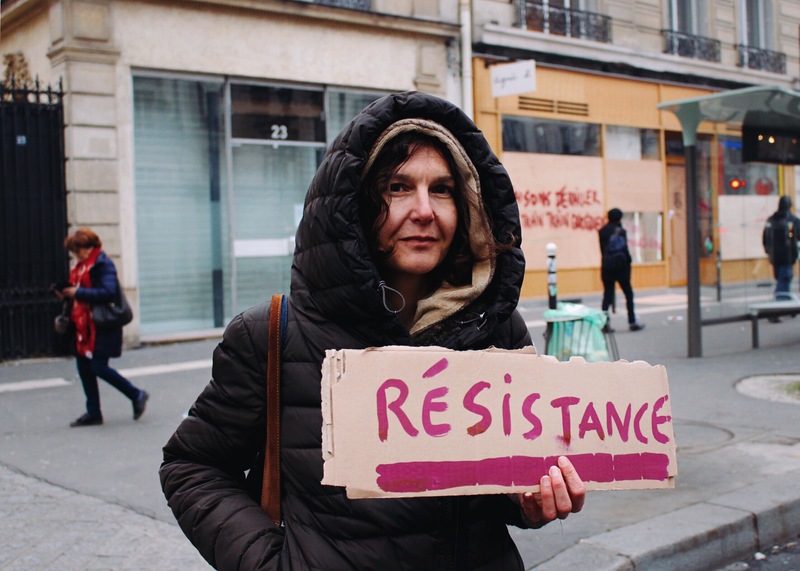 While cities such as Marseilles, Nantes, Lyon and other cities had large protests, Paris had the biggest turnout. Public demonstrators and railway workers walked from Gare de L'est at 10 a.m. and converged at Place de la Bastille, the traditional site for political protests. The presence of youths and students during the union strike was a flashback to 1968, a historic protest led by students that began on the same day March, 22, 50 years ago. The strikes started in French universities and were joined by union workers and others, forcing reforms in many sectors. The mood of the railway workers, as well as students, was boisterous, as they played loud music, beat on drums and sang protest songs. Chanting " La vraie démocratie elle est ici ! C'est pas au patronat de faire sa loi !/ True democracy is here! It's not up to the bosses to make his law!" as they marched along the roads of Bastille. Many set off smoke bombs, and masked protesters- who often represent anarchist groups - threw objects and projectiles at the police. Commotion went on between the police force and protesters as security forces used tear gas and water cannon to try and disperse the crowd. The police declined refused to comment on the current state of the protest as they stood and watched the demonstrations. Rail unions were aggravated by the change in retirement age, which was between the age of 50 to 55 - lower than 62 in the private sector - and cutting of perks such as reduced or free travel for family members. This “special status” was enjoyed by 92 percent of SNCF’s 150,000 staff. The railway reform, prepared by Jean-Cyril Spinetta former head of Air France, proposed 43 changes including closing smaller rail link in rural areas. Due to the railways 3 billion annual loss, the network's debt will rise to 50 billion in 2018. "The railway [retirement] status has existed for years and our ancestors fought for it, so we would like to last," said Romain Demard, who works at SNCF in the suburbs of Paris. "I have kids, and I think our kids want those statuses." Previous attempts at cutting away the totemic status resulted in mass strikes. 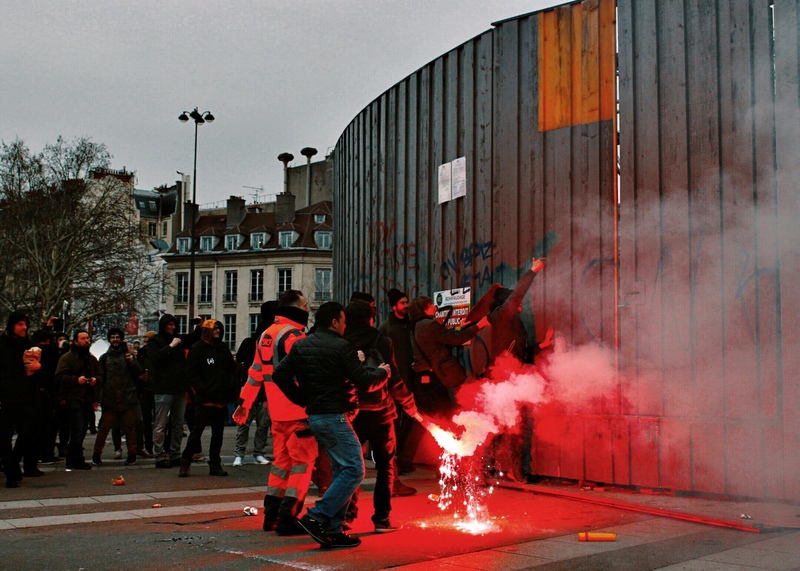 Notably, a strike occurred in 1995 when for weeks France screeched into a halt until Prime Minister Alain Juppe caved in. Several people had little hope that the government would pay attention, while others simply believed Macron did not care about their demands. 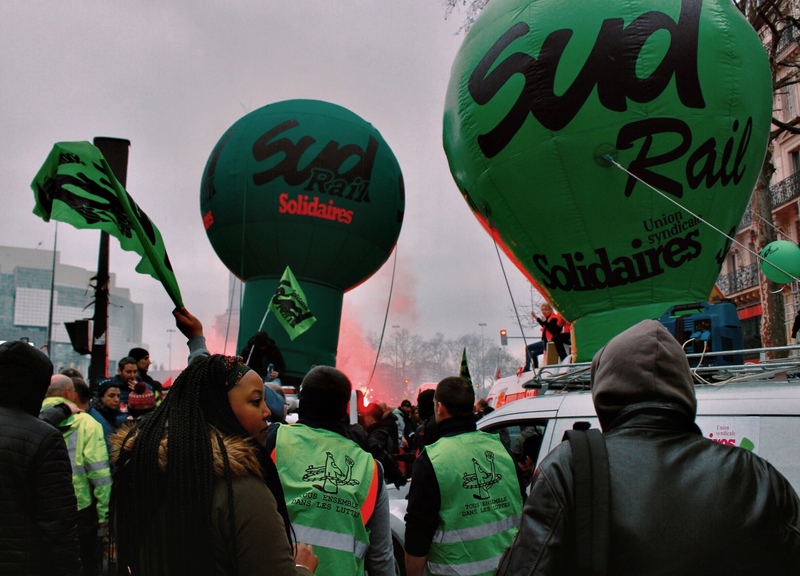 “We support railway workers who are on strike because we want to maintain the French public service not only the SNCF,” said a woman who has been working as a mail carrier for 15 years. Opinion polls have shown that the majority of French people do support the protest, but also a large number favor the government reforms, which includes enacting merit-based-pay for those who work in civil service. 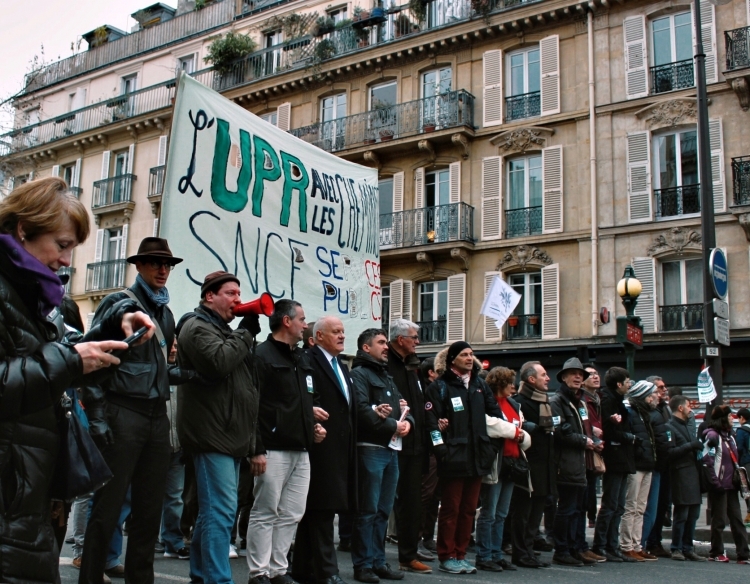 SNCF unions workers have already scheduled strikes for the month of April, May, and June if the government does not back down on its plans for the railway company. When asked who's to blame for the labor reforms, many believed it to be the fault of President Macron while others believed that "the origin of the destruction of public services in France comes from the European Union and European treaties." Some sources asked to remain anonymous in order to keep their identity safe.